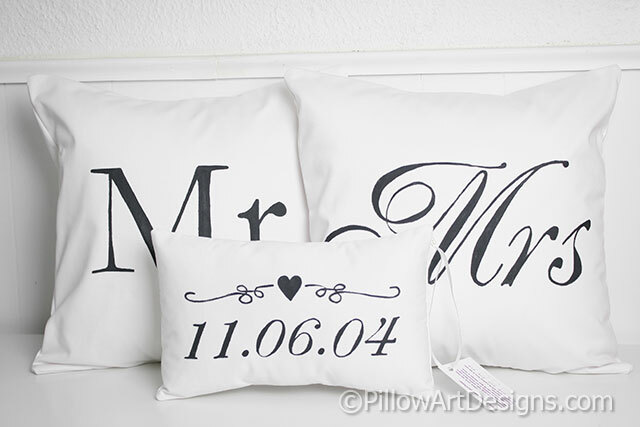 A set of Mr and Mrs pillow cases with mini date pillow painted in black on white. 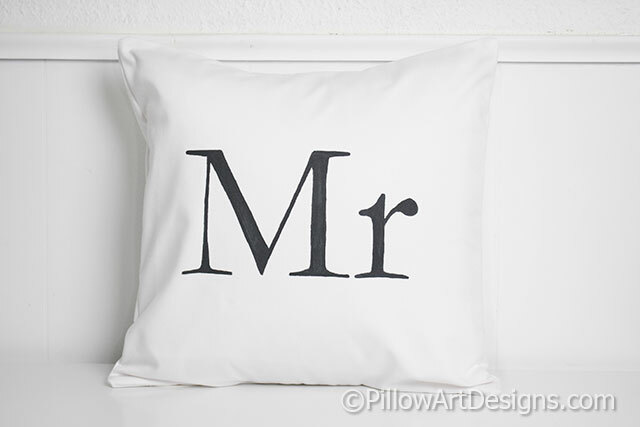 The 'Mr' cover and 'Mrs' cases are done in block and script fonts. Cases are made to fit 16 X 16 inch inserts (not included). 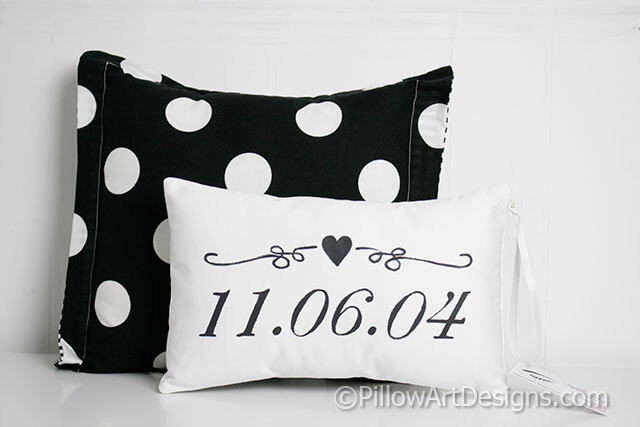 The mini pillow features a heart centered between two scrolls with the date in numerical format below. Mini pillow comes stuffed with premium hi loft fiberfill, no need for an insert. To order, simply add this item to cart and proceed through checkout process. 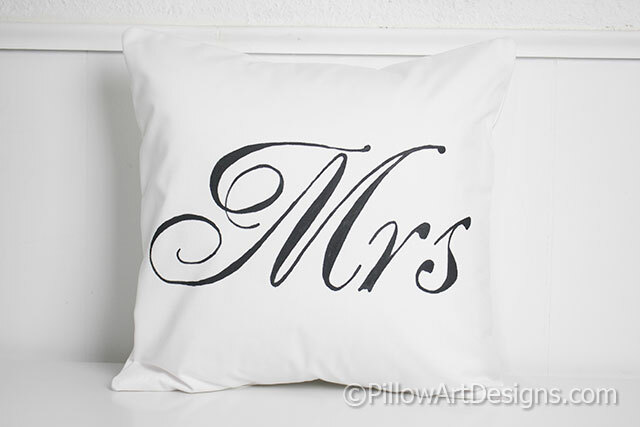 Don't forget to contact me here with the date for the front of the mini pillow. Please allow me 1-2 weeks to complete your order (may be sooner, depending on my workload).